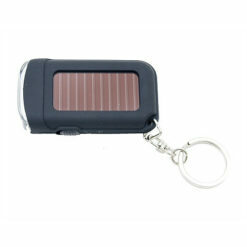 The Adventure Solar Flashlight is a lightweight solar flashlight that’s stylish and functional. 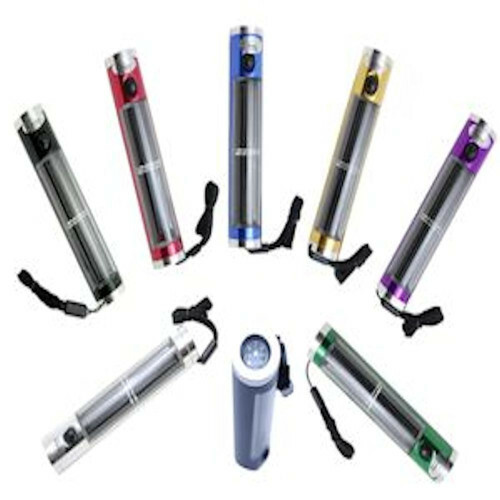 With a housing milled from aircraft aluminum and fitted with a quality photovoltaic (PV) module, Adventure flashlight single NiMH battery completely charges in hours of sunlight and provides four hours of light. 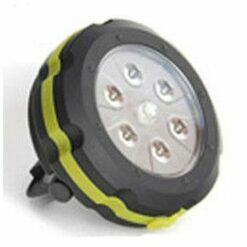 Together with its small size, measuring 5 inches and only weighing 5 ounces, the Adventure Flashlight is ideal for backpacking trips, hunting adventures and is an excellent emergency flashlight. 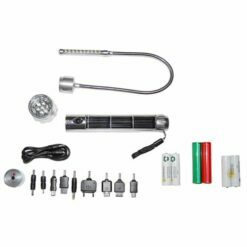 Equipped with a compass, which is installed in the flashlight tail, the Adventure solar flashlight saves the day if disoriented in the woods. 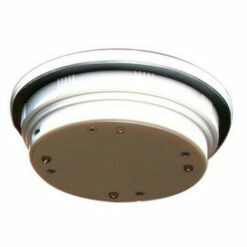 With a LED rating of 100,000, you’ll get years of use from this flashlight. 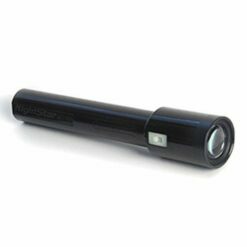 Markedly, this flashlight illuminates distant objects 40 feet away and the flashlight body is water and shock resistant. 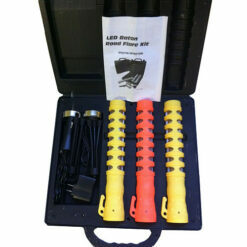 Adventure Flashlight is backed with a manufacturer’s One Year warranty.